Strong immunoreactivity for S-100 was seen in this case. Most granular cell tumors pursue a benign course. There are well-documented cases of "benign-appearing" granular cell tumors that produced distant metastases. 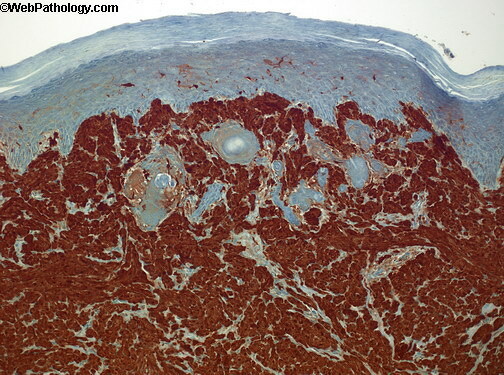 Features favoring malignancy include necrosis, high mitotic activity, spindling of tumor cells, and prominent nucleoli.